Live Wire Athens is a modern, industrial event venue nestled in the northwest corner of downtown Athens, Georgia. Our unique venue includes three versatile indoor and outdoor spaces with multiple stages. With a rich history in the Athens music industry our expertise in sound and light production as well as state-of-the-art equipment will leave a lasting impression on you and your guests. Our Garden Courtyard brings together the rustic features of the building with the beauty of nature and urban horticulture for a romantic outdoor atmosphere. Featuring reclaimed wood and industrial decor, The Parlor provides an intimate space for gathering friends and family. Barn doors open from The Parlor to Robertson Hall revealing walls of vintage brick and rustic wood. The exposed ceiling and warm, ambient lighting with Edison bulbs give the room a feel of industrial elegance. 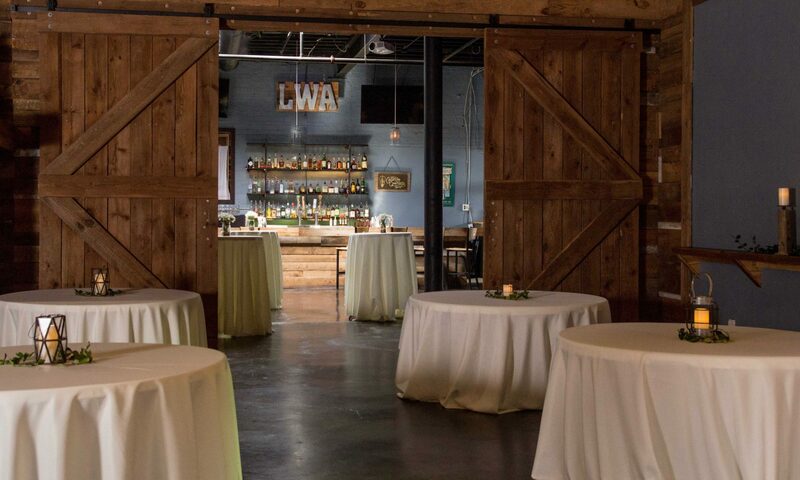 Locally owned and operated by the Robertson Family, this former warehouse has been transformed into a multifaceted venue perfect for your upcoming event. Our full venue capacity ranges from 20-500 people. We know that event planning can sometimes be overwhelming, but don’t fret. At Live Wire Athens we are eager demonstrate our exceptional customer service to give you the individual attention you deserve for your custom occasion!